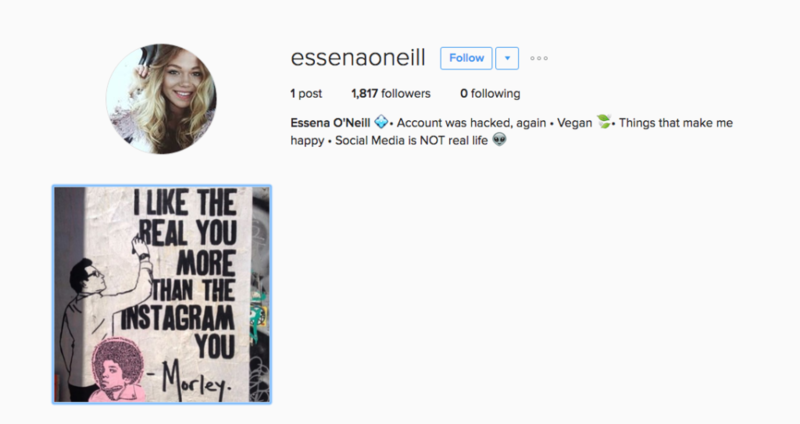 Hosts Jennifer Buonantony and Shawn Finnie take the lead from model and Instagrammer, Essena O’Neill, who made waves last year when she re-captioned all of her photos with what was really going on in her life and changed her name to “IsNotRealLife” before quitting Instagram entirely. At the time she quit the platform last fall, Essena was an 18-year old Australian teen making a full time income from marketing products to her 612K+ followers on Instagram – “$2000 AUD a post EASY”. Her dramatic rejection of social media celebrity won her our respect and started a conversation that has not ended. On this episode of “Get What Matters” Jen and Shawn explore the pressures of social media today and reveal their ‘real life’ moments behind some otherwise likable Insta moments! As for Essena, she is back on social media but only has one poignant post by artist Morley.